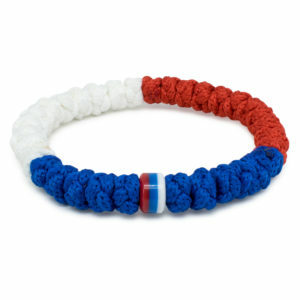 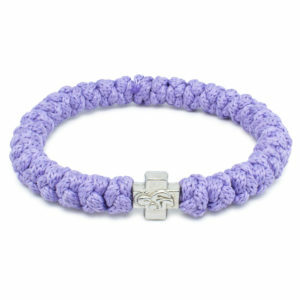 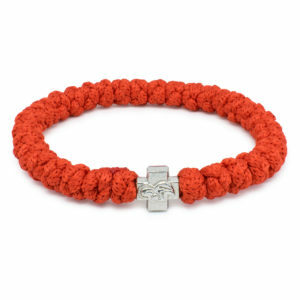 This beautiful bracelet is named Lara! 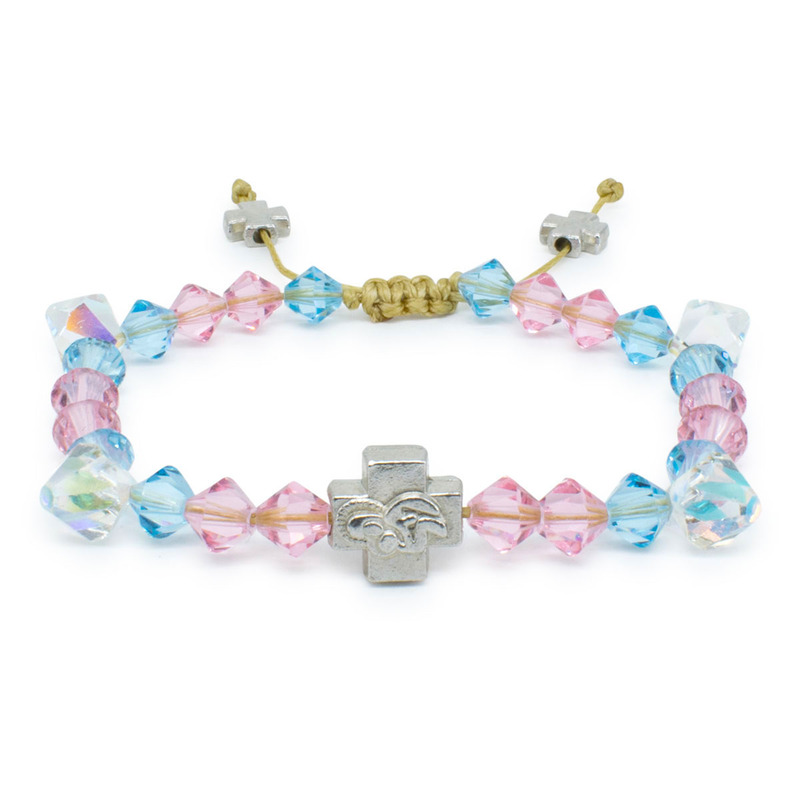 It’s blue, pink and white genuine Swarovski crystal beads, together with the metal Theotokos cross bead, make this a magnificent bracelet. 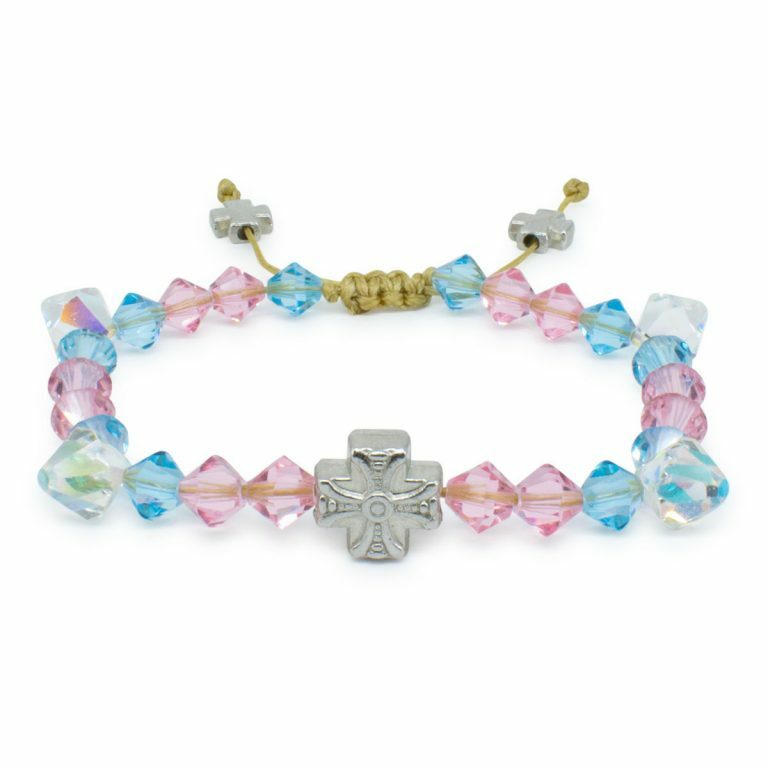 The Theotokos bead is double-sided.